Knowing I only had 400 words for this post, I decided to offer a single gem that can be immediately put into practice with measurable benefit. This small but significant area of focus could be the difference in each of you achieving your personal running goals and help your team move up the ranks in the NYC running circuit. We usually hear medical and footwear sales professionals referencing our medial or inside arch which runs from the big toe to the heel. I always like to ask what happened to the other two. Yes, you heard correct, most people think of only one arch of the foot when there are actually three, all with significant purpose. You also have the outside arch, which also runs lengthwise, but from the pinky toe to the heel on the outside of the foot, and finally an arch that runs across the foot from the base of the big toe to the little toe. These arches are key factors in shock absorption, balance, and propulsion. They also contribute to the elastic rebound that happens when your foot hits the ground. Optimal running absolutely depends upon the performance of all these three arches, yet traditional training methods still neglect this fact. We have been dedicated to sharing this benefit and bringing awareness to the running community by emphasizing, strengthening and training each arch in all of our classes. We are all taught that our hands and fingers have a high concentration of sensory nerves which allow us to perceive and explore our surroundings. Did you know that your feet are equally endowed? This rich sensory input that our feet provide us with is vital to proprioception-our body’s ability to sense position, location, and orientation. As your feet improve their ability to perceive your running surface, your gait will improve, your speed will increase, and injuries will become less frequent and severe (better cushioning and landing). 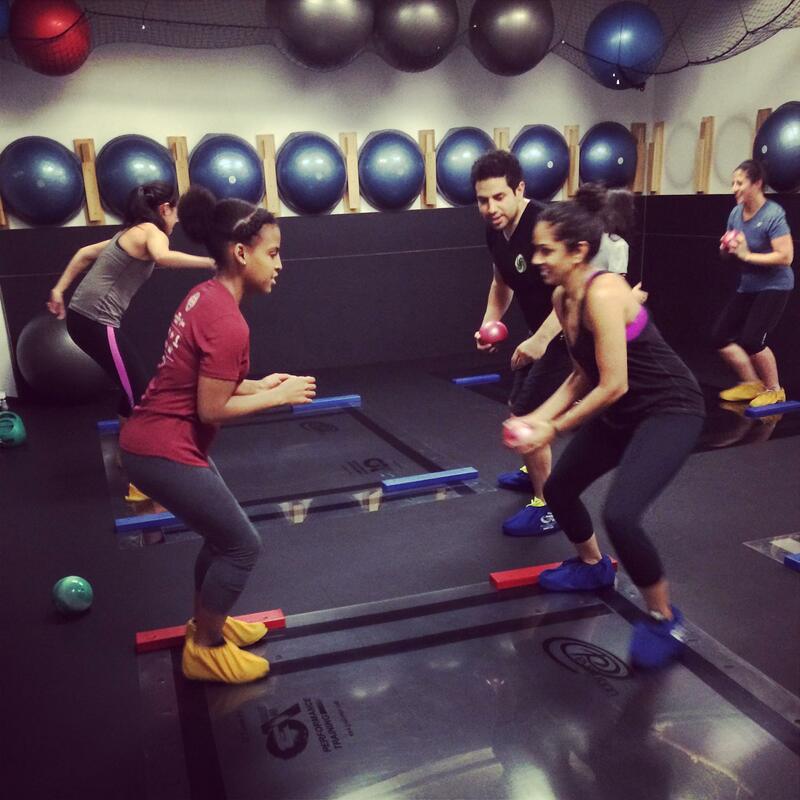 In our “Feet First” class, we use a variety of unstable surfaces to provide the feet and ankles with heightened dynamic stimuli. This enlivens the sensory nerves in the feet, making it the most effective way to tap into this essential component of a runner’s training. Here are a few recent remarks from runners in our program: “I felt my toes were going to tear through my shoes they were so strong,” and “my running has become nearly effortless”. I look forward to the opportunity for us to share this knowledge with you and your team.